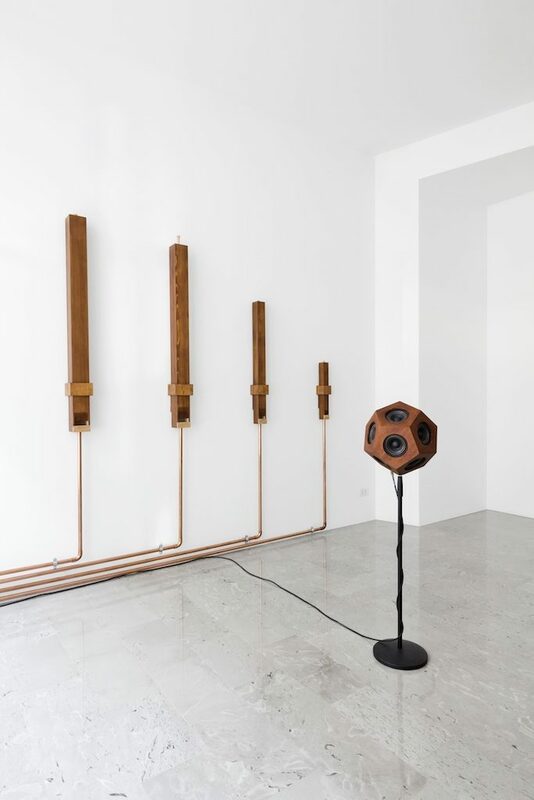 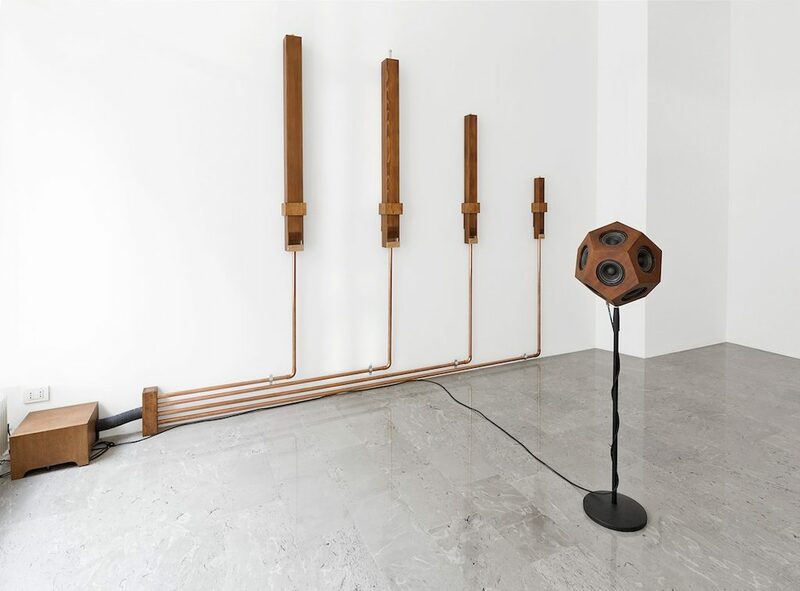 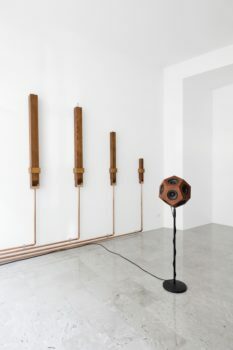 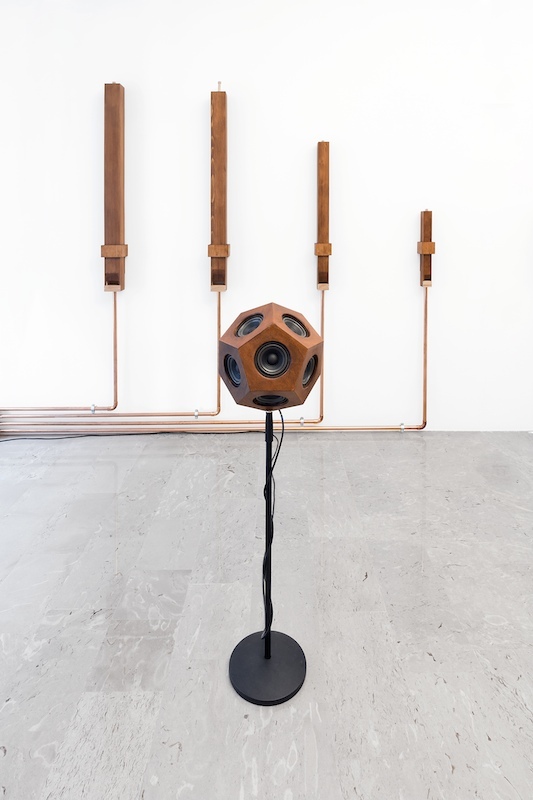 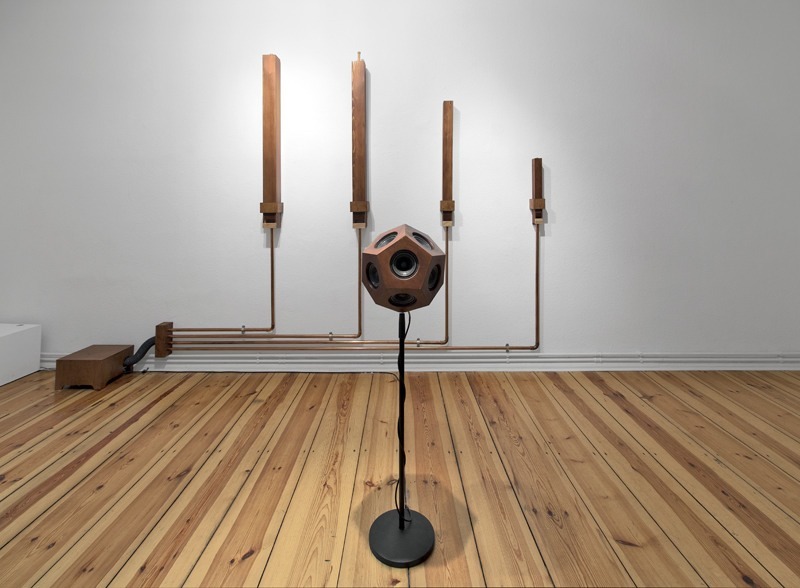 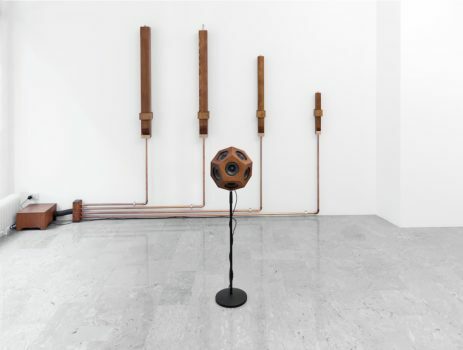 The sound installation aims to investigate the acoustic properties of architectural spaces by combining natural sound waves and sine waves to develop an aural interaction within the exhibition room. 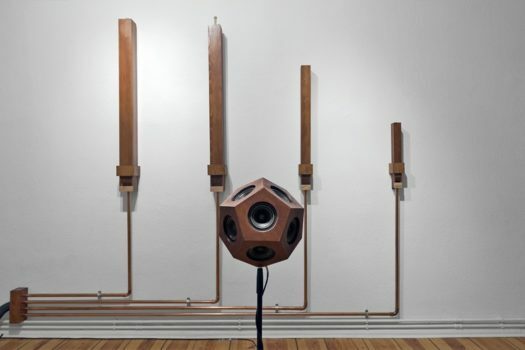 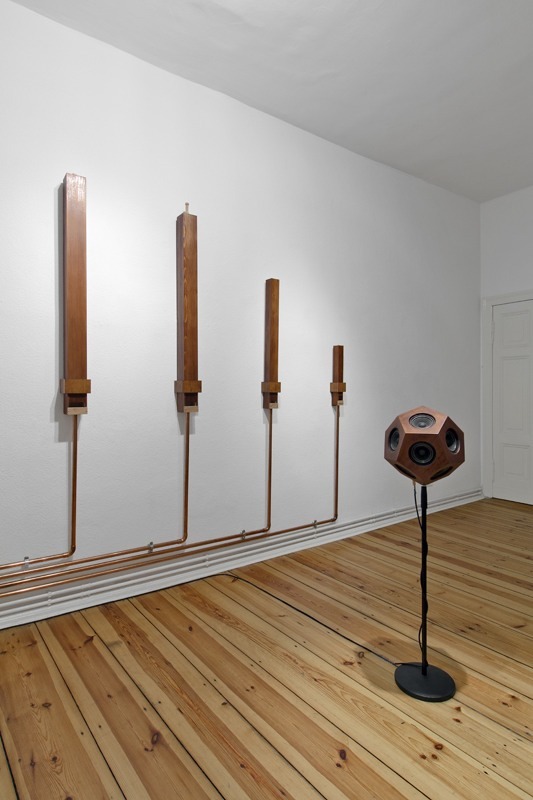 Four wooden organ pipes and a dodecahedron loudspeaker (a speaker that emits sound evenly in any directions) play a perfect fifth chord, tuned using the “just intonation” method based on the mathematical ratios of natural intervals of the harmonic series. 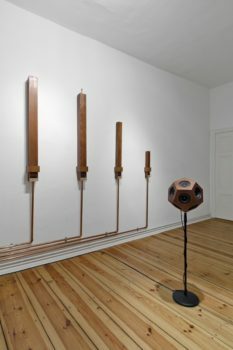 The sum of the sound waves generates subtle beating effects because of slight pitch shifts between the pipes (manually tuned) and the loudspeaker (that plays computer generated waves). 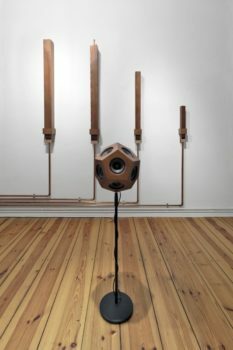 These beats become clearly audible only in spots of the exhibition room, depending on how the sound reflects on the walls, and therefore audience has to move through the room to hear them. 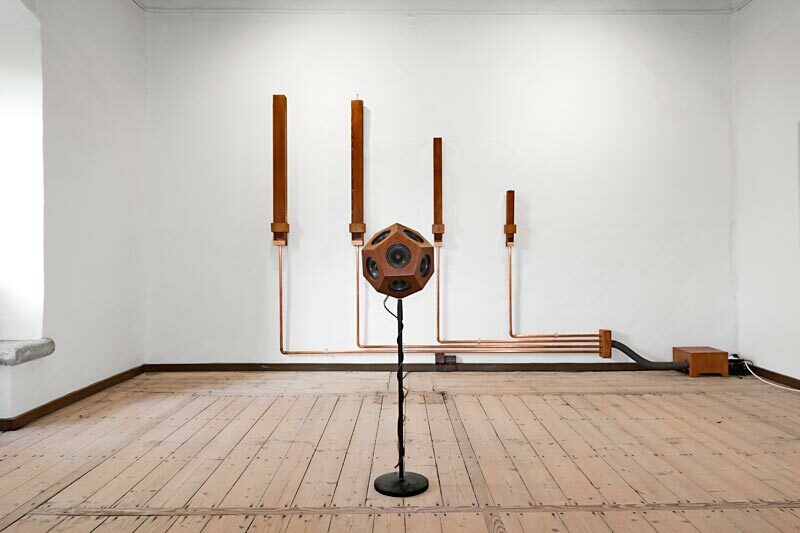 The title of the work refers to the sum of the sound waves, but also to the first person of the Latin verb “to be” (ego sum) because hearing is a fundamental part of the process of location of self in space, as the aural exploration of the installation proves.